Promising to keep the blogs going, but with a bias towards Project and Project Server 2013 (check out the book here…), I thought I’d blog this little issue. 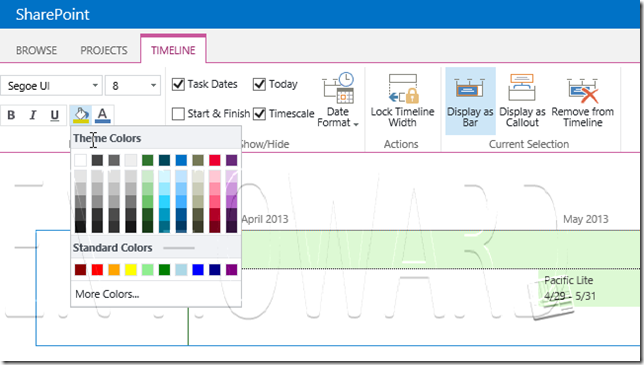 Project Server 2013 (hereon in known as PS2013) introduces the timeline to the web, which is a great feature – so thank you Microsoft for that. Here’s a screen shot of the timeline displayed in Project Web App – each line on the Timeline represents a project. Of course, one of the first things that you’re likely to do is to customise the colours fonts etc (well at least that’s what I did), and changing the colour is really easy. 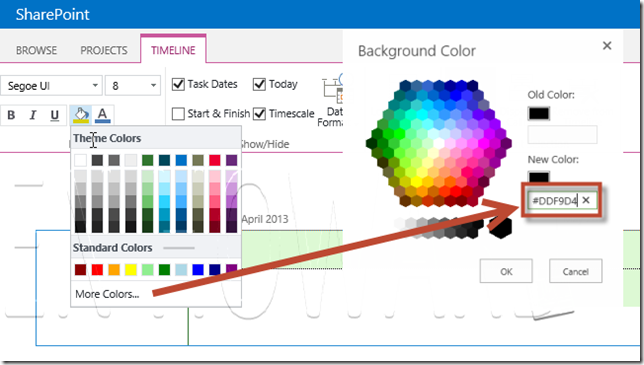 To change the colour for a row on the timeline, click on it, and then click on the Theme Colours icon, and select the colour…. 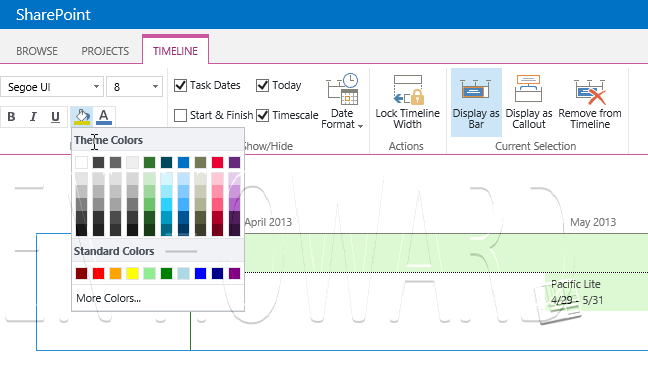 The timeline for the project is now displayed in the chosen colour. The trick is now to set the colour back, alas the default colour is not available to choose in the palate, so you have to type it in. The colour is #DDF9D4. 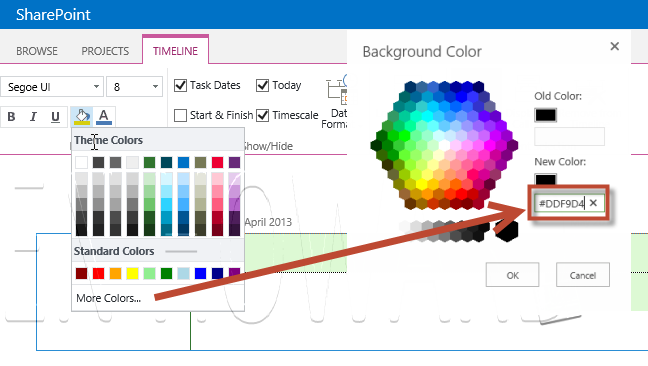 click on the up the Theme Colours icon, click on More Colours, and enter #DDF9D4 into the new colour box.